KMS CALIFORNIA - ULTIMATE SOLUTION FOR ALL HAIR PROBLEMS! 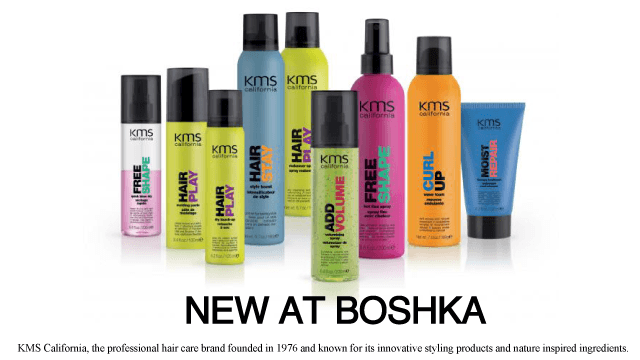 KMS CALIFORNIA – Heat Protection + Nature Ingredients. ULTIMATE SOLUTION FOR ALL HAIR PROBLEMS! Number 1 – the easy-to-use, multiple benefit silicone conditioning! Faster drying and light conditioning. Speeds up drying time up to 50%. Reduces friction while conditioning lightly. Provides heat protection. Feature – Increases volume, body and fullness. Benefit – Provides body and fullness, strengthens to give fine limp hair a lift.